Home / Le blog / Someone interested by a medieval birthday ? Someone interested by a medieval birthday ? 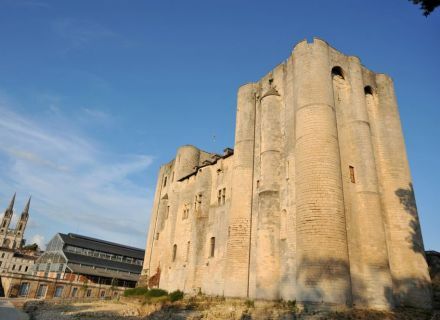 “Donjon de Niort” is a castle with original animations ! You are mom, grandpa... looking for a good gift idea to celebrate your little boy or girl’s birthday ? "Birthday at Dungeon" will allow your child to have fun while learning. This activity is offered to 6-9 years. It is an invitation to immerse themselves in the time of the build of the castle by the Plantagenêts, kings of England. Program in the majestic surroundings of the fortress : a guided tour (fun explanations about the place, interactive exhibition...) followed by a small workshop or a medieval game (puzzle...). To get into the skin of their character, children dress up as the twelfth century : velvet dresses for damsels gentes and linen tunics for knights, not to mention the caps ! Interested ? It is as simple as a phone call : 05 49 28 14 28 or a click : write to Sarah Baraton. Maximum 12 people. 6 € per child.